Airbus has reaffirmed its full year guidance of 800 aircraft deliveries in calendar 2018 as it works to overcome engine production issues that have hampered its A320neo narrowbody program so far in the current year. The unchanged outlook was included in the Airbus financial results presentation for the first half of calendar 2018 handed down on Thursday (European time). Airbus chief executive Tom Enders said the global aerospace giant was entering the second half of the year with optimism as deliveries A320neo family aircraft had improved significantly in recent months. “We have the resources and capabilities mobilised to meet this huge challenge that we have in the second half of the year,” Enders said during the Airbus results conference call. “It’s certainly going to be a hell of a ride but the 800 aircraft delivery target is feasible. Pratt and Whitney’s PurePower PW1100G geared turbofan is one of two engine options available to A320neo customers, alongside the CFM International LEAP-1A. In early February, Airbus said an issue had been identified on a limited number of recently-delivered Pratt and Whitney GTF engines affecting the high pressure compressor aft hub. That had led to some aircraft being grounded and some deliveries postponed. Meanwhile, there have also been some maturity issues on batches of the LEAP-1A engine. Enders noted that of the 80 aircraft delivered in June, 67 of those were single-aisle aircraft, the third-best monthly performance ever for that type. Further, he said the number of completed but yet-to-be-delivered aircraft in storage at Airbus had fallen from a peak of about 100 airframes in May to about 80 by the end of June and would continue to be progressively reduced in the months ahead. “This de-storaging of aircraft requires additional resources that we are currently mobilising,” Enders said. “We are very much focused at Airbus on securing the ramp up now. The engine manufacturers are also working hard to meet their commitments. The 800 delivery target did not include the A220 family of aircraft, which was previously known as the C Series from Bombardier. Airbus, which completed its 50 per cent stake acquisition in C Series on July 1, said it expected to deliver 18 A220 aircraft in calendar 2018. 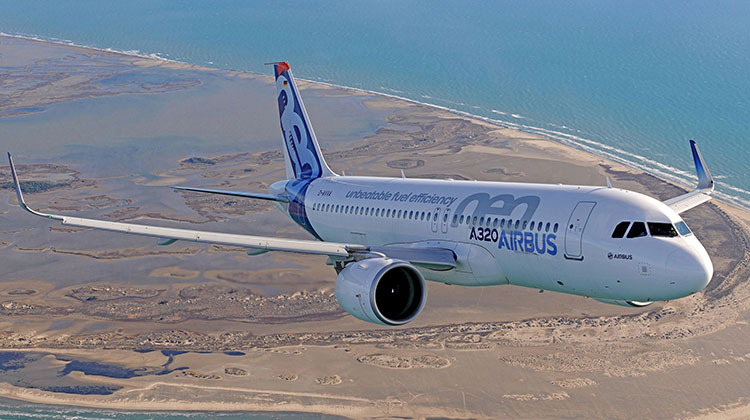 Enders noted Airbus had booked about 120 A220 orders and commitments since taking over the program on July 1. Looking further ahead, Airbus chief financial officer Harald Wilhelm said there was potential for A220 aircraft production to increase to about 100 units a year, without specifying when that might occur. “Given the commercial prospects, yes clearly we see more than 100 as a potential,” Wilhelm said. 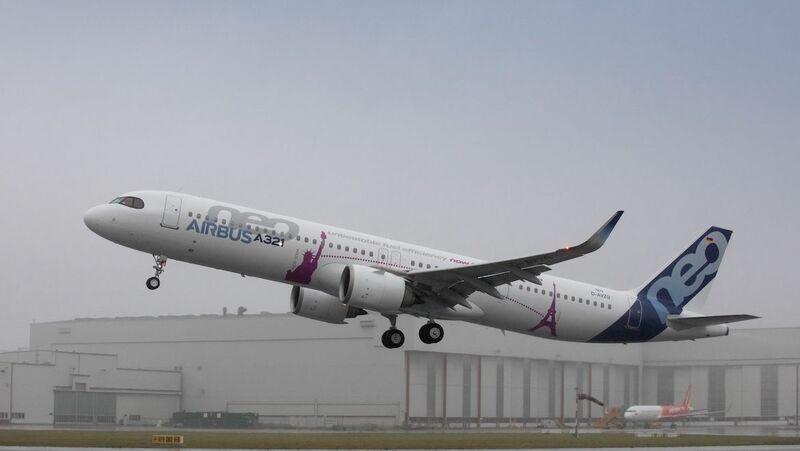 Enders said customer feedback showed the A220, which comprised the A220-100 (100-135 seats) and A220-300 (130-160 seats), was over-performing against what the manufacturer committed to. “This aircraft, with the power of Airbus behind it in sales, with the power of Airbus on procurement and with our power and experience in product support, it’s going to be a great success story, there’s no doubt about it. “Yes, we will ramp up production. Wh have to see now how this is going to be divided also between Mirabel in Canada and Mobile in Alabama. VIDEO: Some air-to-air shots of the A220 from Airbus’ YouTube channel. 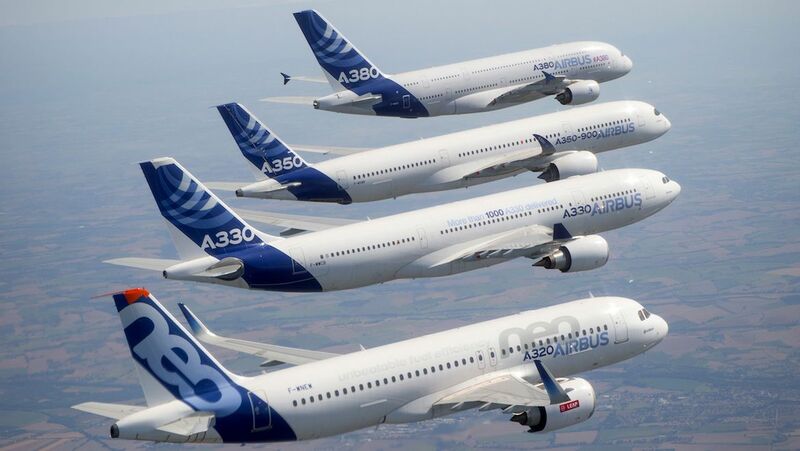 Airbus said it delivered 303 commercial aircraft in the six months to June 30 2018, comprising 239 A320 family aircraft, 18 A330 family aircraft, 40 A350 XWB family aircraft and six A380s. This was down from 306 aircraft in the prior corresponding period. Of the 239 A320s, Airbus said 110 were A320neos, up from 59 in the first half of calendar 2017. Wilhelm said the number of A320neo deliveries exceeded A320ceo deliveries in the second quarter. “But you know very well that is not good enough as the full-year target is to be at two-third of all A320 deliveries being neos,” Wilhelm said. Locally, the Qantas Group has 99 LEAP-powered A320neos on order for its Jetstar low-cost carrier operations. In February, Qantas announced Jetstar would receive the first of 18 long-range A321neoLRs from mid-2020. Meanwhile, Air New Zealand has ordered 13 A320neo family aircraft – comprised of six A320neos and seven A321neos – powered by Pratt and Whitney and due for delivery at some point in the 2018/19 financial year. Airbus said net profit for the six months to June 30 2018 came in at EUR496 million, down 55 per cent from EUR1.1 billion in the prior corresponding period. Adjusted earnings before interest and tax (EBIT), which removes one-off items, was EUR1.2 billion, up from EUR553 million a year ago. Total revenue was down one per cent at EUR25 billion. “The first half financials reflect the back-loaded deliveries due to A320neo engine shortages, while on the positive side there was a strong improvement on the A350 programme,” Enders said. Airbus said its commercial aircraft division posted adjusted EBIT of EUR867 million, up from EUR257 million in the prior corresponding half. Its Airbus Helicopters unit had an adjusted EBIT loss of EUR135 million, compared with EUR80 million a year earlier. The company’s third business unit, Airbus Defence and Space, generated EUR309 million in adjusted EBIT, a four per cent improvement from EUR298 million. “The company has certainly challenges galore but there is certainly plenty of reason to be optimistic”, Enders said. At the recently concluded Farnborough Airshow, Airbus secured orders and commitments for 431 aircraft. To the editor – Air NZ A320/A321neo fleet is made up of 6 A320neo and 7 A321neo. First 2 A321neo is expect in Q4 2018. The story has been updated. Apologies for the error.